When you talk about powerful motorcycles, the first thing which comes on your mind is Royal Enfield. One of the popular bikes from Royal Enfield is the Classic 500 model. The Eicher owned Royal Enfield today has introduced a brand new color – Squadron Blue for its Classic 500 motorcycle. The new Squadron Blue colour variant has been inspired by the Indian Air Force (IAF) and is a tribute by Royal Enfield for its long standing history with the soldiers of the skies. Also the all new Squadron Blue Classic 500 variant is now available for booking across all company stores and dealerships across the country. Royal Enfield’s tryst with the armed forces began way back during the World Wars where the motorcycle was extensively used by the British Army. Royal Enfield received its first ever order from the Indian Army in 1952 for 800 motorcycles. Royal Enfield started manufacturing in India from 1955 onwards and has been supplying to the Indian Army ever since. The Indian Air Force also started using Royal Enfield in the 1950’s and it has been most popularly used by the Air Force Police. Royal Enfield motorcycles continue to be one of the most sought after motorcycle in the Indian armed forces due to their durability and legendary ruggedness. The Squadron Blue Classic 500 takes inspiration from the post war design of the Royal Enfield motorcycles, while retaining the performance of a modern day machine. 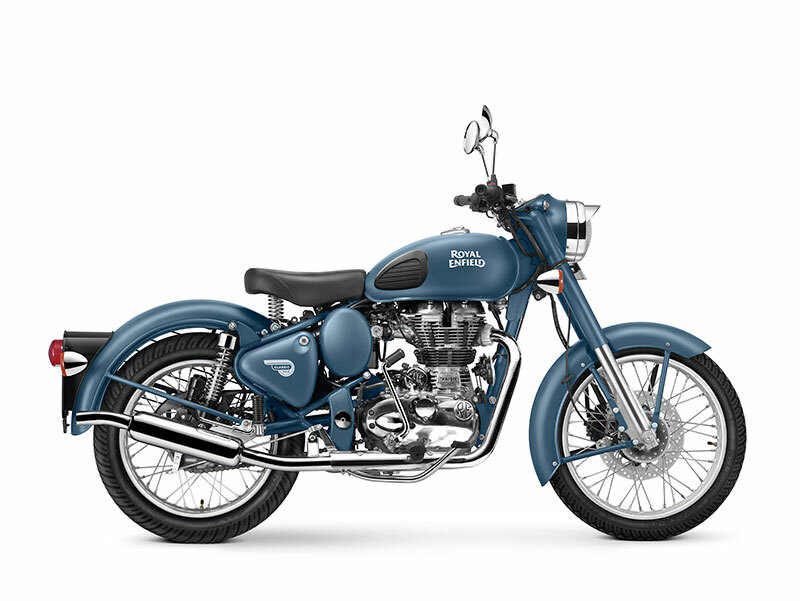 This Squadron Blue colour will only be available in Royal Enfield Classic 500 variant. We think the introduction of new Squadron Blue color from Royal Enfield should drive more sales for the company.